Most people spend 60-90 minutes playing a round of mini golf. 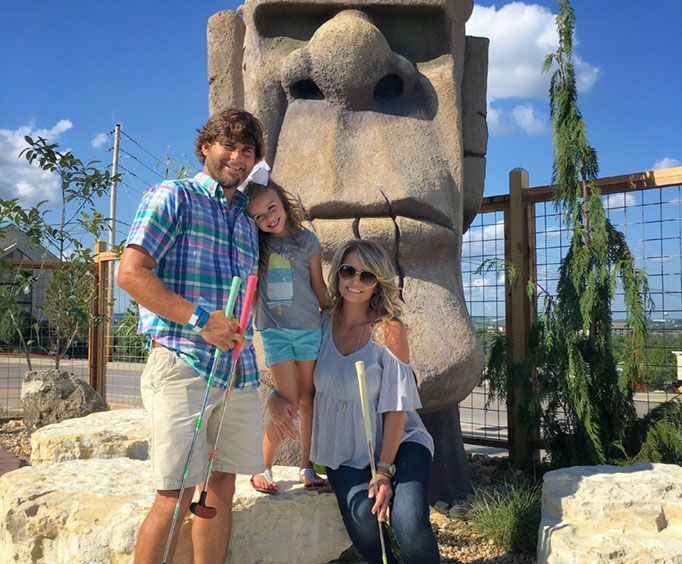 Bigfoot Mini Golf at Bigfoot on the Strip creates a fantastic time for all ages; do not miss out on the opportunity to conquer this mini golf course during your next Branson, MO vacation. The course is beautifully designed and hand-painted to feature some stunning settings. Explore the Woodlands, Cave, and Frozen Tundra while you keep your eyes peeled for Bigfoot himself. 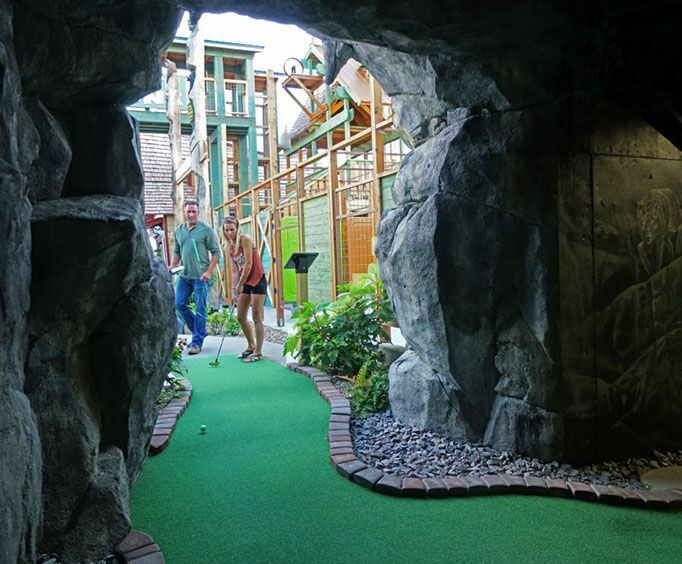 Children and children at heart will enjoy finding the Bigfoot tracks along the sidewalks while you play 18-holes of amazing mini golf. There are also nine holes available that are ADA accessible, so truly everyone can have an amazing time. Along the way, there are plenty of opportunities to take some fantastic photos. Stop by one of the photo op stations. These stations can be found: inside the cave next to the wolf; next to Bigfoot; Bigfoot discovery jeep; waterfall; and Inukshuk Statue. One of the most amazing features on the golf course is a must-see. Play your way through a Himalayan-inspired cave, where you can see some stunning glow-in-the-dark paintings by the talented artist, Emily Millon. Do not miss out on this great opportunity for fun and a little friendly competition the next time you are in Branson, MO. With 18 holes to conquer, you are bound to have an unforgettable time! What is included in the admission price for Bigfoot Mini Golf? 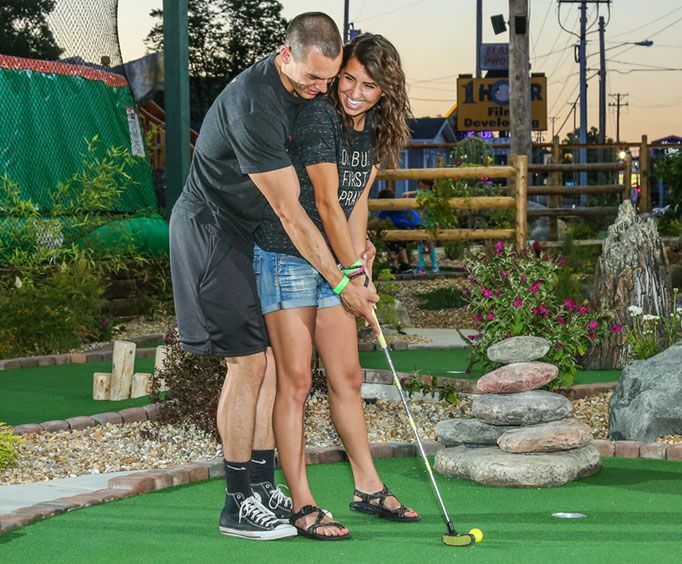 Approximately how long could a customer plan to spend at Bigfoot Mini Golf? Most guests spend about 60 - 90 minutes playing mini-golf. There is a gift shop, arcade, and other awesome activities. Is Bigfoot Mini Golf handicap accessible? For what ages is Bigfoot Mini Golf appropriate? Is parking available at Bigfoot Mini Golf? Is it free?